Digital Customer Experience Strategy: How Mature Is Yours? Track the maturity of digital customer experiences across six key areas. The digital customer reality is upon us. eMarketer predicts that by 2017, more than one-third of all people around the globe will be smartphone users, spurring the emergence of “mobile-only” customers who prefer digital and mobile tools. The line between the online and offline worlds continues to blur more every day with mobile banking and tools, virtual customer service, and robust shopping experiences. It’s nearly impossible to serve customers without employing digital channels. The promise of an effective digital customer experience strategy (DX) is enticing to many companies, but the reality is that many are immature when it comes to digital customer experience strategy. A digital experience strategy requires brands to think differently about their customer engagement approach and identify how digital fits into the overall customer journey. Simply adding digital tools on top of marketing, sales, or service interactions is not sufficient. On their own, they do not take into account the customer perspective, and in some cases will add unwanted complexity to the business. By incorporating digital customer experience strategy into a holistic customer journey strategy, companies move closer to a frictionless, omnichannel customer experience. With a frictionless experience, a customer can meet his need or solve his problem completely effortlessly in any channel, without having to jump through hoops or overcome obstacles. Obstacles are friction. No one has time for obstacles, digital or otherwise. Delving deeper into each of the six areas, a DX maturity spectrum emerges to show how well-positioned a company’s digital customer experience strategy actually is. There are several levels of maturity through which a company moves before achieving the goal: a frictionless and highly competitive digital customer experience. We have developed a concrete digital experience maturity assessment framework (see Figure 2), based on the six key areas, aimed to help a company better position their actual DX performance delivered to customers through digital channels. A firm moves from being available to consumers on digital channels to caring, engaging, and finally driving a preferred digital lifestyle. There are a number of ways to measure a company’s DX maturity (see Figure 3). Reachability is assessed by measuring the existence and reliability of a customer’s preferred channel, plus consumer awareness and attractiveness. Service convenience measures how easy it is for consumers to be fully served digitally. Purchase convenience matches the service convenience metrics, along with how seamless the digital transaction process is. Personalization is measured based on recognition of customers as individuals. Simplicity assesses digital navigation and timeliness. And channel flexibility tracks how seamless it is for customers to switch channels. Knowing where you are on the DX maturity ladder is very important to customer experience strategy. It is imperative to optimize digital activities and integrate them with other channels to create a truly omnichannel environment for customers. Not only will it provide a better digital customer experience, it will optimize your operations to allow greater efficiencies and save costs. 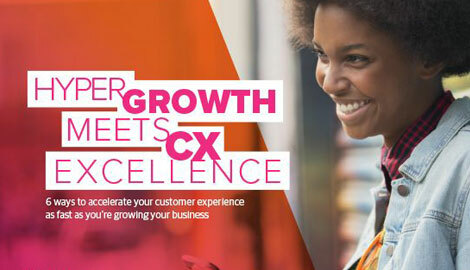 What customer experience strategy can be implemented to improve DX maturity? There are a number of ways a company can move up the DX maturity ladder. From a strategic perspective, top management must make digital customer experience an executive priority and align it with the larger corporate strategy in order to facilitate real improvements. From there, clear channel roles and responsibilities must be defined, along with how to migrate activities from traditional to digital channels. Organizationally, we recommend creating a dedicated digital team who defines alignment and synergies with other relevant business units—marketing, sales, service, and other channels. The team must develop KPIs to drive organization and cultural mindset toward digital experience and streamline operations to create efficiencies and eliminate redundancies. Where possible, automate current processes and design new ones with a customer focus. And of course, measuring performance with analytics is imperative. Use digital and social analytics such as Web stats, digital affinity, and micro-segmentation to track progress. Right-time analytics including churn prediction, and cross-sell/up-sell propensity will also allow companies to make the most of their DX activities. For true omnichannel success, there must be a 360-degree view of customer interactions across all channels (digital and traditional)to monitor channel preference, usage, and customer journeys from the customer perspective. Much of this analysis can now occur in real time, giving executives actionable insight at the right moment. New digital tools like search engine optimization (SEO) and search engine marketing (SEM), community management, web/mobile/social customer care, and digital advertising must be leveraged. And the design of any new DX program must be customer-centric and fit into the current customer journey. The concept of “digital” is on the minds of most business leaders. As they make decisions about where to invest for the future, it’s imperative to look at digital strategy through the customer experience lens. Digital experiences are becoming the primary type of experience for most customers. Companies that can determine their organization’s maturity and plan a long-term strategy will have an advantage over the competition.